Tornado Ultimate Wipe-out may also be known as last man standing or the sweeper game. 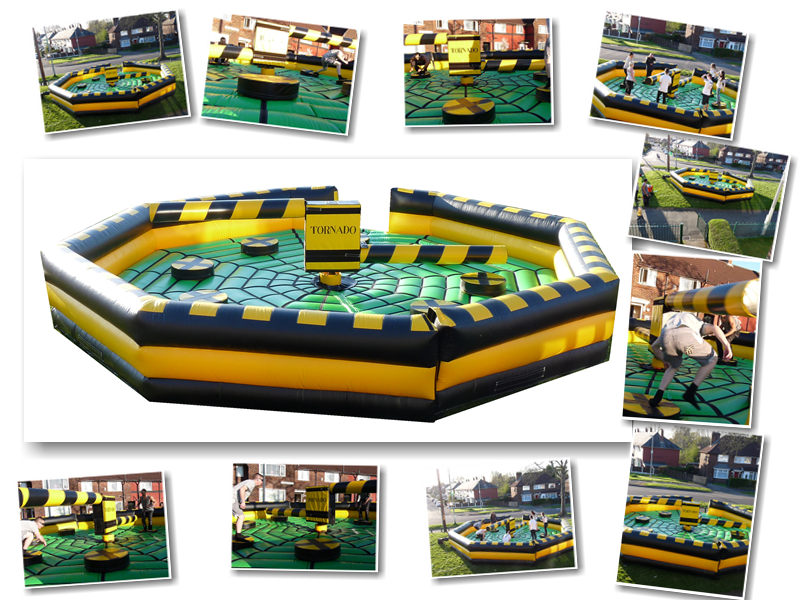 The centre will revolve and knock off each opponent one by one, until the last person standing has been achieved. The system will change direction and increase in speed to try and fool each person. 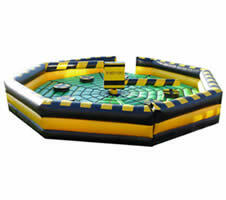 Compared to the Rodeo Bull and Surf simulator this is great as it allows eights players to compete at the same time. Tornado will require an area of 30x30ft and will not fit in most gardens. Please check our requirements page before booking.